Manually operated machine manufactured from AISI 304 stainless steel. Suitable for filling glass or plastic bottles with beer. Optimal shape of the filling nozzle helps to prevent flattening or foaming of the liquid. 2,4,6 and 8 heads are the standard sizes. 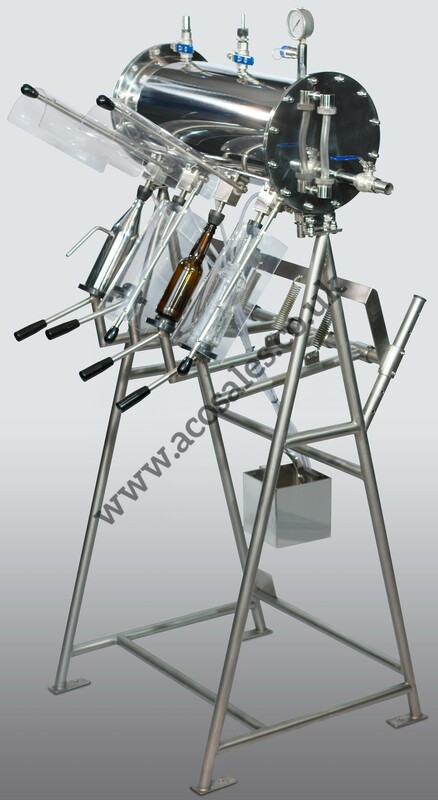 Due to its simple operation the machine is ideal for small bottlers. 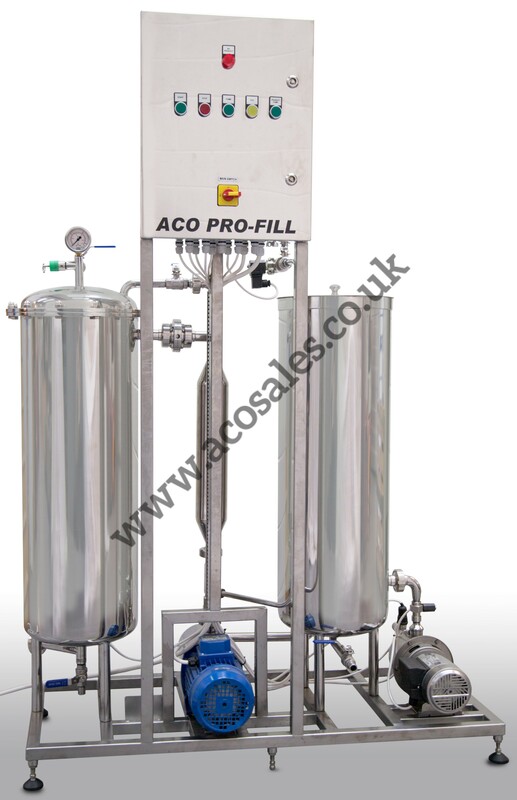 The bottle filling machine can be connected directly to our carbonating equipment or can be fed from your pressurised fermentation vessel. The frame is adjustable according to the required standard bottle sizes from 0,2 litres up to 2 litres. 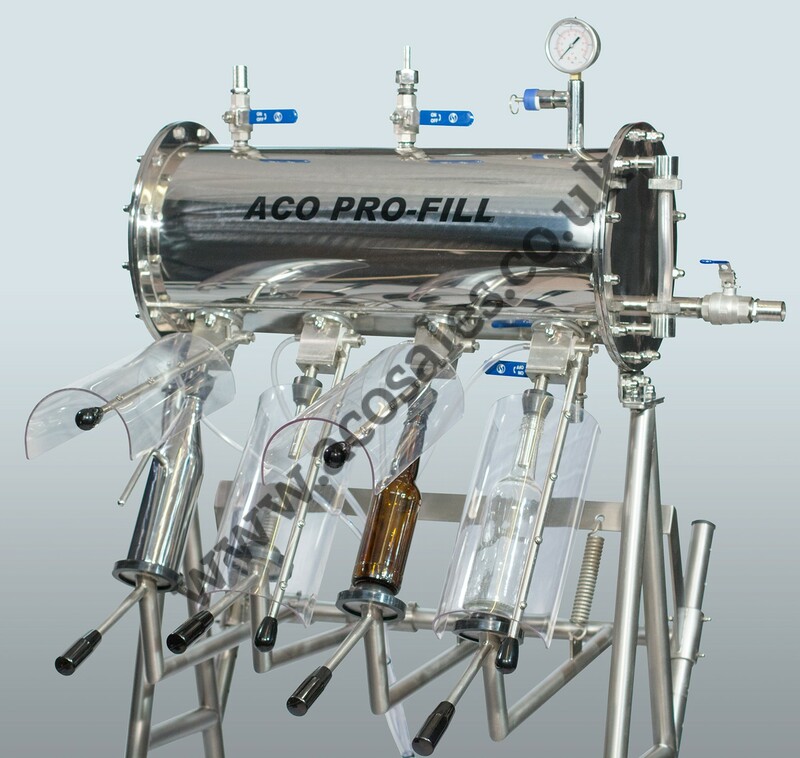 For non-standard sizes the bottle filling machine is individually designed on the basis of the respective sample. The filling level can be adjusted separately on each nozzle. Each machine is supplied with a dummy bottle in stainless steel and a CIP spray ball to allow cleaning inside the pressure tank.